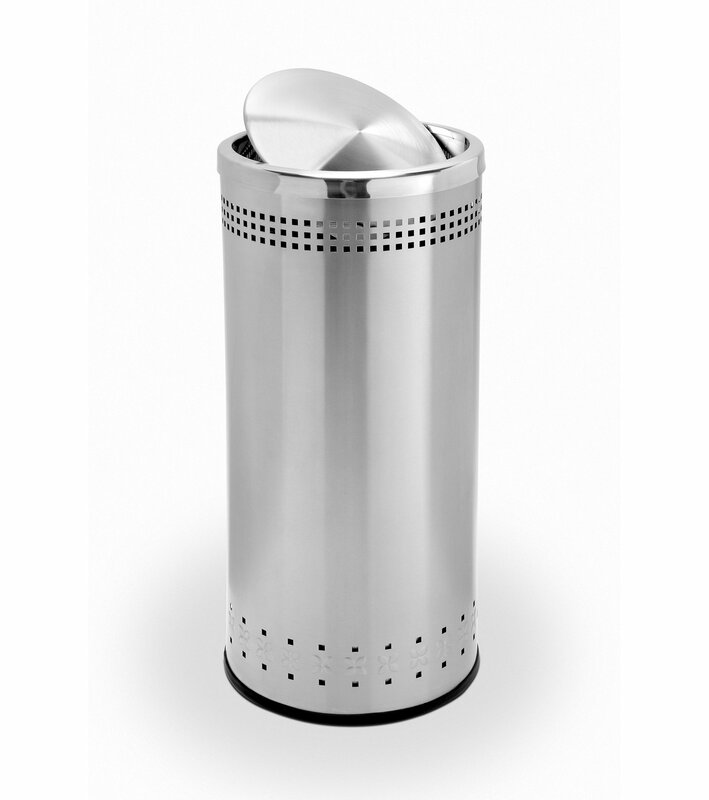 15 Gallon Precision Stainless Steel Round Trash Receptacle with Swivel Lid - 22 lbs. 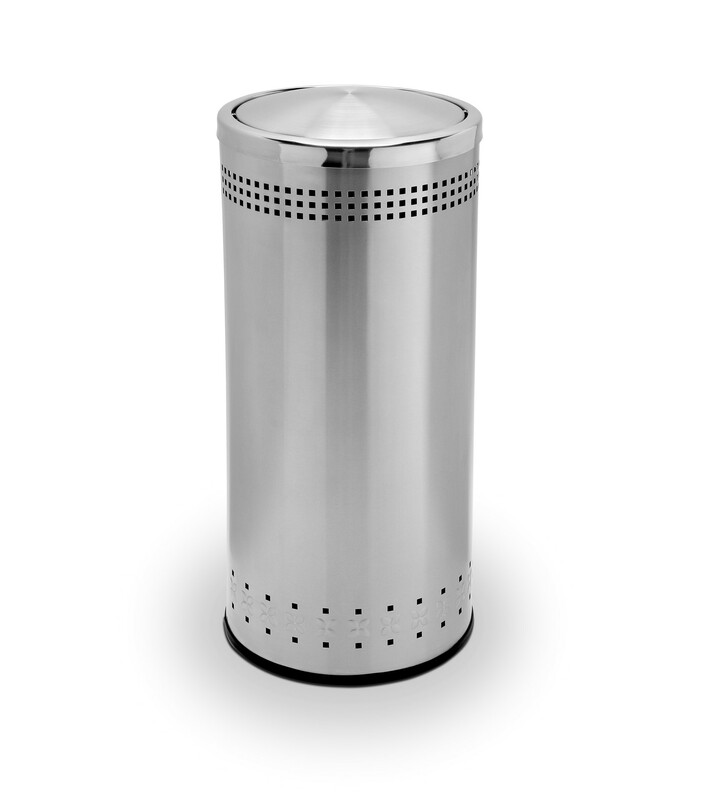 This 15-gallon Precision stainless steel round trash receptacle with swivel lid is designed to flip closed to conceal offensive waste and odors. An elegant addition to high traffic areas such as restrooms, lobbies, and entryways. The large capacity container is made from recycled heavy gauge 304 grade steel that has a hygienic surface and will resist rust. 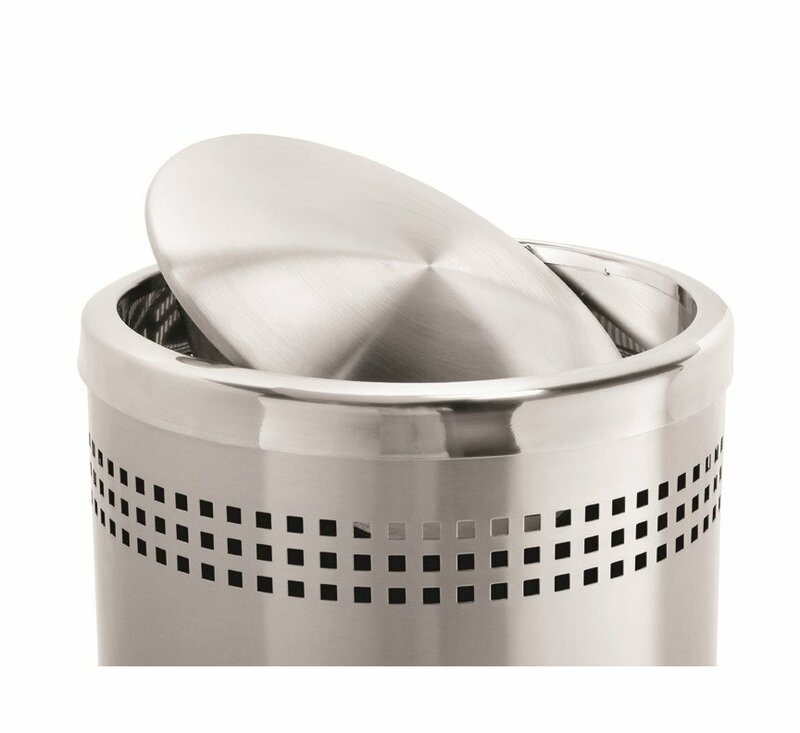 Features a dome top to prevent litter from being placed on top, a rubber base ring to protect the floor, and a galvanized liner with handle for easy trash removal. 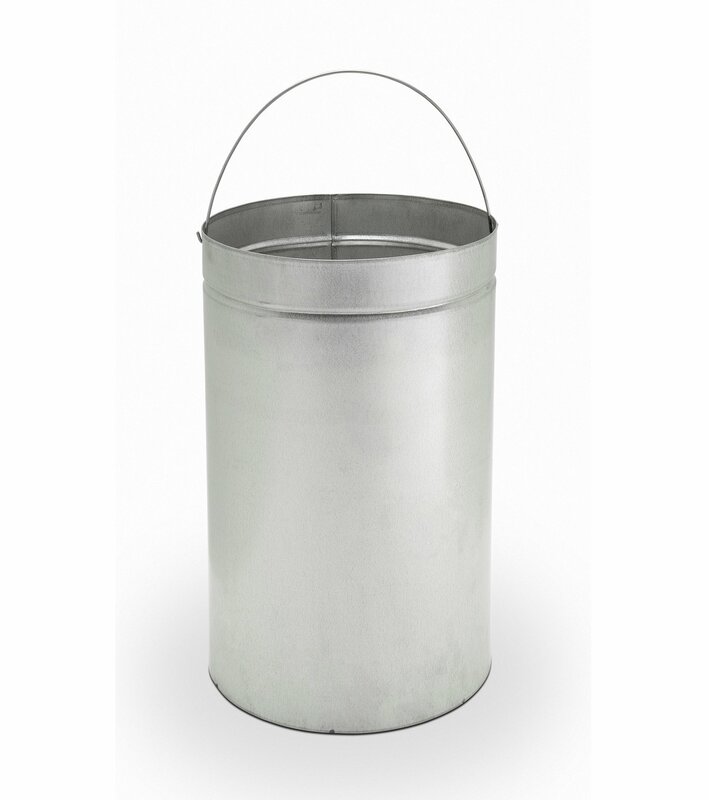 Our 15-gallon trash can comes with a 1-year warranty but will devote many more years of long-term, low maintenance performance. • Dimension: L 13.5" x W 13.5" x H 31.5"
18 Inch Tall StoneTec Commercial Planter - 80 lbs.